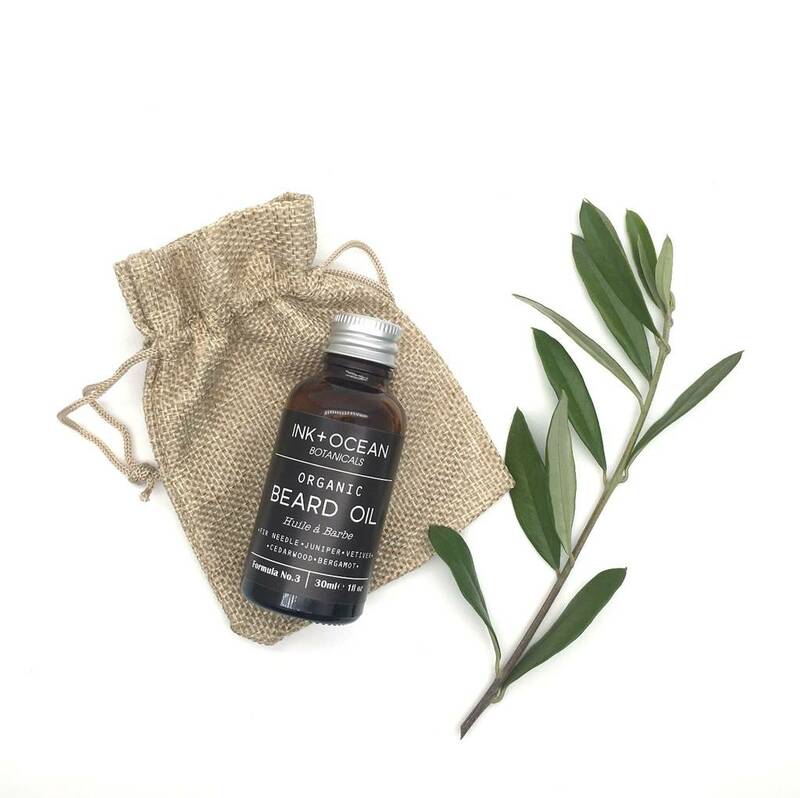 Our Botanical Organic beard oil is made with a therapeutic blend of oils to condition the beard and keep it soft, healthy and hydrated and promote hair growth. The active ingredients will nourish and hydrate the skin and helps lessen irritation and dandruff, whilst also being non greasy and easily absorbed. Jojoba Oil, which is very similar to the natural oils of the skin and full of nutrients and antioxidants, and is also anti-inflammatory, therefore highly soothing. 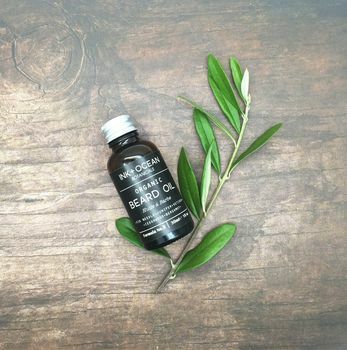 Grapeseed oil moisturises and conditions your beard without leaving it feeling greasy. It also reduces dandruff. The linoleic acid in the oil will promotes hair growth. Sweet almond oil is a mild hypoallergenic oil, great for sensitive skin and helps to reduce itching. It is also deep cleansing and helps combat blemishes. 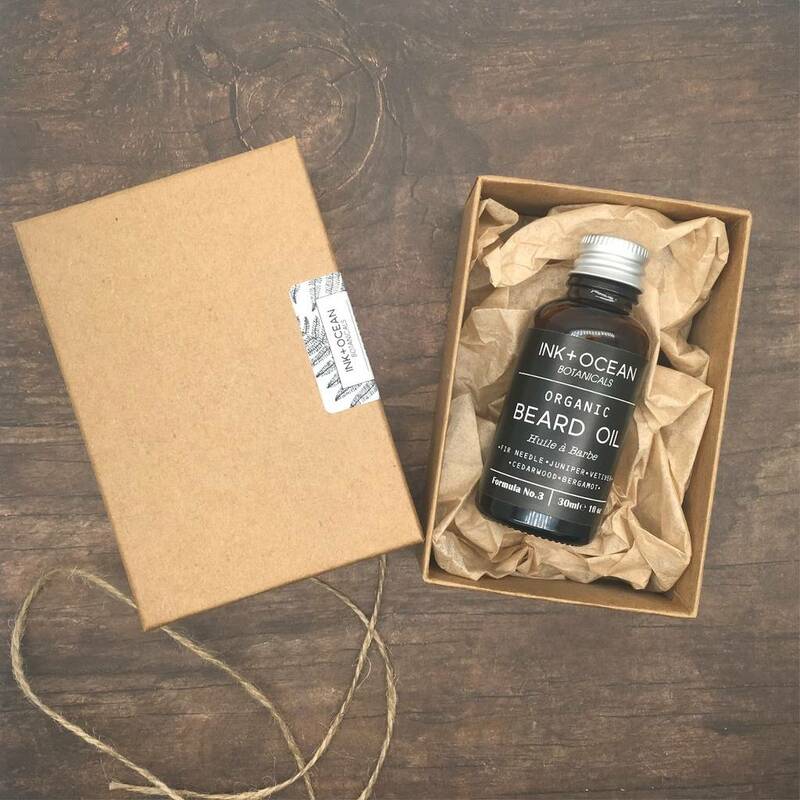 Argan oil is high in vitamin E and fatty acid content, making it ideal oil to give your beard a natural boost, leaving it silky and soft. Sweet almond oil is a mild hypoallergenic oil, great for sensitive skin and helps to reduce itching. It is also deep cleansing and helps combat blemishes. Safflower oil improves circulation therefore, stimulating hair growth. It’s also great for smoothing rough patches and improving texture. Vitamin E Oil will help to repair skin damage and heal scars and dark spots. Juniperberry is antiseptic and purifying and great foe cleansing and toning the skin. Cedarwood can stimulate the hair follicles and contributes to hair growth. Vetiver oil is nourishing and hydrating, helping to soothe the skin. Bergamot has antibacterial properties, as well as being an uplifting essential oil. 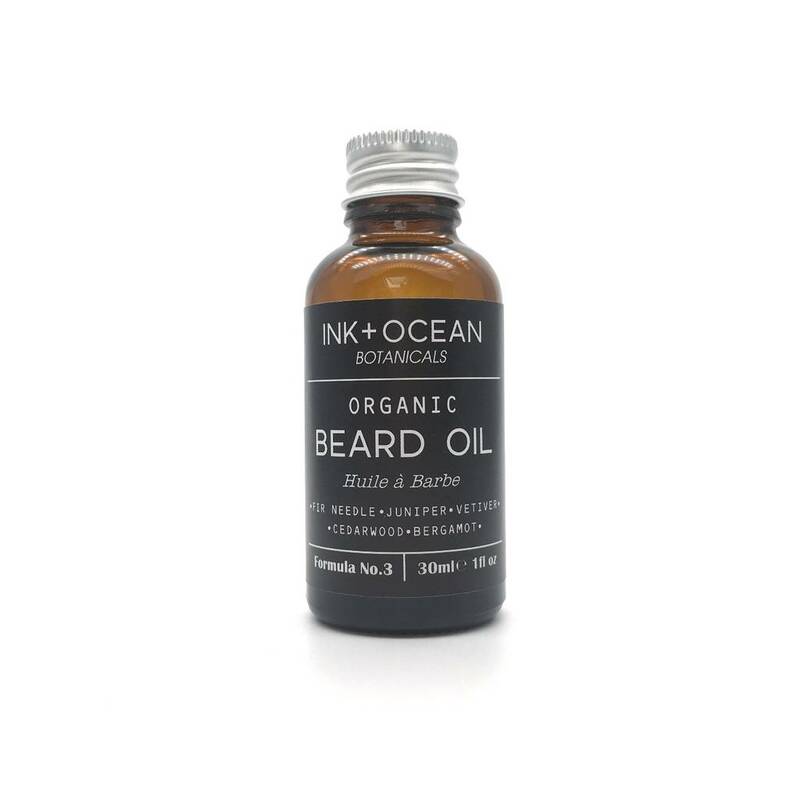 Made to order: All beard oils are usually made to order by hand, so please allow time for creating. The ritual: Apply 3-5 drops on to the beard and face daily. For external use only. Please carry out a patch test before use. Size: 30ml amber glass bottle with a jute bag and an eco gift box. This product is dispatched to you by Ink & Ocean.